The fight for the control of MDC has reached its peak with Secretary General Douglas Mwonzora openly defying the orders of President Nelson Chamisa, a clear sign that the centre is no longer holding. 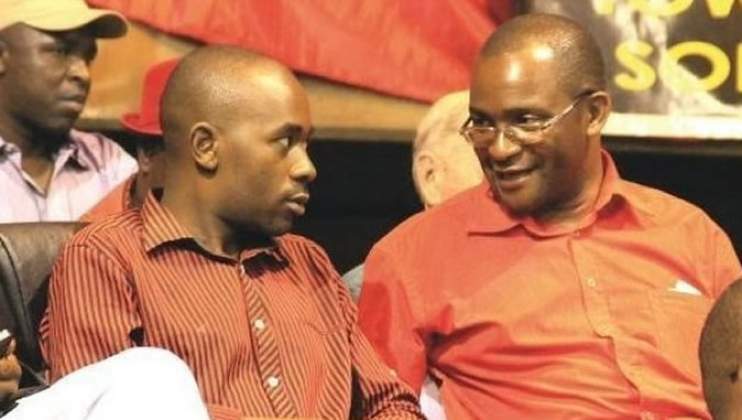 In a latest development, Mwonzora has written to all Provincial Chairpersons instructing them to disregard statements by MDC Spokesperson Jacob Mapfume who said the party's elective congress has been postponed from March to between October and December next year. Said Mwonzora, "I refer you to the matter in today’s Daily News under the Headline Dirty money ravages MDC. The article suggests that our elective congress which was scheduled for February 2019 has been moved to a later date in 2019. "Please be advised that all communication regarding the holding of congress is the prerogative of the Secretary General s office and you must advise all our members in your jurisdiction to disregard any other communication being peddled as false and malicious. "In terms of clause 3, 6,4 and 3,6,5 of the party's Code of Conduct and Regulations Annexure B of the Constitution no single branch of the party can unilaterally change the dates of congress. "Therefore the suggestion that the President has moved the dates of congress cannot be true as it is not in accordance with our principal guiding manual." Mapfume had alleged that there is dirty money being used to overthrow Nelson Chamisa. "There is dirty money circulating ... we know all this and some are now campaigning, but these are premature campaigns,"MDC spokesperson Jacob Mafume told the private press on Friday. We know that there are some people who are being sponsored by Zanu-PF to destabilise the party through early congress calls," he added.